Photo to the left is of Douglas Park. Year estimated around 1920. Independents in the photo on the home page. On the fence out in center field you can see the letters "BE" which is an ad for Brown Beauties cigars in Rock Island. From this picture it would appear that the football field would be set up from left to right or home plate to right field. 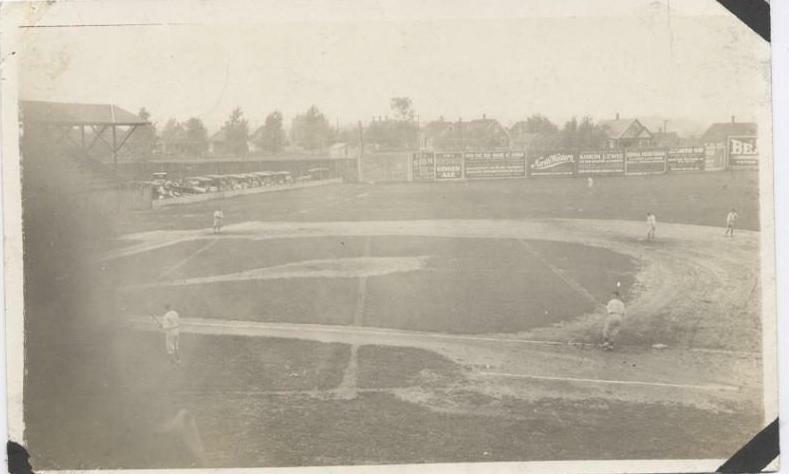 In the team photo, it appears the field runs from home plate out to left field. Picture courtesy of the Rock Island Historical Society -2014 - Orin Rockhold.